February 19, 2013 Sam M.
On October 27, 1955, Rebel Without a Cause was released across America. 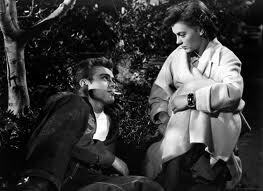 With rave reviews and a huge box office, Rebel Without a Cause became an instant success. The film, starring James Dean, was most recognized for the way it spoke to teens. Suddenly, many studios realized that making movies marketed to teens, who had lots of free time to go see films, could be a huge moneymaker. This marked a beginning of an era in Hollywood, “Teenpics.” There was a huge influx of movies targeted at teens, from romances to horror films. Drive-ins created an easy way for teens to view going to the movies as less of an event and more of a leisurely activity. The sheer number of movies for teens in the 1950’s exhausted audiences, and for the next two decades, there were few movies targeted specifically at teens. 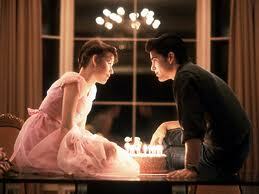 Then, in 1984, Sixteen Candles was released. Written and directed by the legendary John Hughes, the film was funny, romantic, and perfect for teens. It became the “thing” to go see the new John Hughes film when they came out. The films really were made for teens, and really connected with the problems they were having. All are still watched religiously today. Of course, nothing can last forever. By the time Ferris Bueller’s Day Off came out in 1986, Hughes had moved on to other, non-teen oriented projects like Planes, Trains, and Automobiles What were teen audiences supposed to do? Then, out of nowhere, came the film that changed teen comedy (again.) Starring Winona Ryder and Christian Slater, Heathers was a black comedy about two outcasts who take revenge on the popular kids by killing them. Due to its shocking subject matter, this film would never have been made after Columbine and Sandy Hook, but this was the ’80’s, before either of those events had occurred. It’s disturbing, horrific, and an absolute masterpiece. 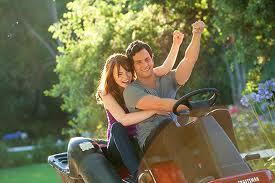 The film was a huge hit, and studios realized that teens were intelligent. They could tell right from wrong (most of the time), and enjoyed being shocked by their laughing. 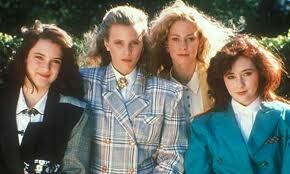 On the other hand, there was no way more movies like Heathers could exist, at least not for a little while. Nobody wanted a bunch of teenage sociopaths. The film studios then decided that instead of releasing horrifying teen comedies, they could just release a much tamer satire of teen life. And so, a series of teen comedies were born, ranging from Clueless to Mean Girls. Just like Heathers, these films centered around the “popular” girls in high school, satirizing every aspect of their life. The most notable difference between these films and Heathers was that these films weren’t truly mean. They were funny, but none of them had the slightest bit of hatred coursing through their veins.They also tended to be extremely “current,” which meant that they became outdated in ten years. The one exception to this pattern is the film Easy A, which is not only hilariously raunchy and truly mean, but also has a surprising amount of sweetness to it. It’s flat-out fantastic, is what I’m trying to say, and a must-see. This bring us to present day, with the DVD release of The Perks of Being A Wallflower. This film, based on the 1999 bestselling novel, returns to the roots of the modern-day teen movie, with all of the John Hughes-esque melodrama and humor that you could possibly ask for. Here’s to hoping that this sparks a trend, and that more people start making films that will survive past the generation that saw them on the big screen.